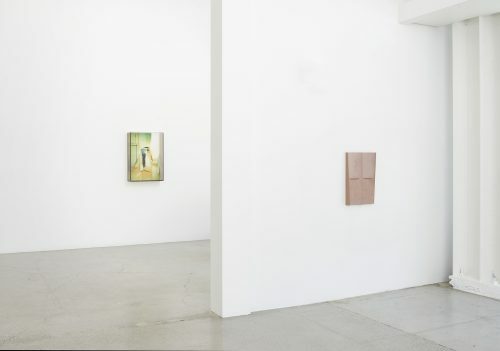 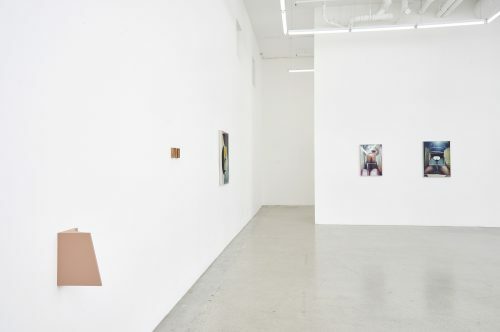 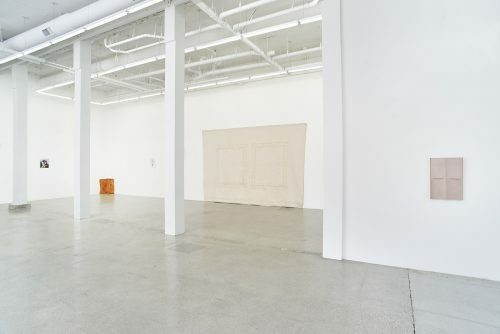 Jessica Silverman Gallery is pleased to present the work of B. Ingrid Olson and the late Robert Overby – artists whose explorations of space and the body are replete with reflexive doublings and subtle absences. 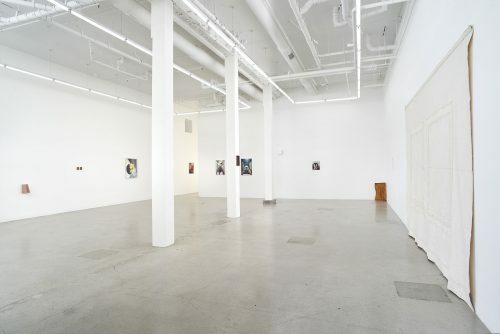 The exhibition features paintings, sculptures and lithographs made between 1972 and 1989 by Robert Overby, an LA artist who died in relative obscurity and is now the subject of enthusiastic international appraisal. 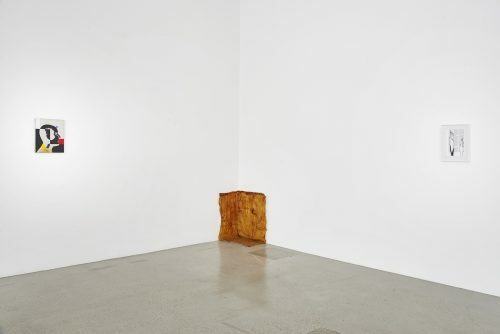 Overby created highly personal, poetic, process-oriented works that he enjoyed wryly calling “Baroque Minimalist.” Corner Piece Unlimited Multiple (1973), for example, records a building detail in latex rubber, then repositions it in the corner of the gallery space. 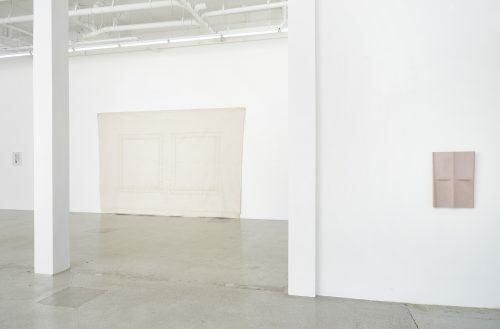 Combining a singular material with exceedingly ordinary space, the resulting work is at once grounded in the real and extravagantly superfluous. 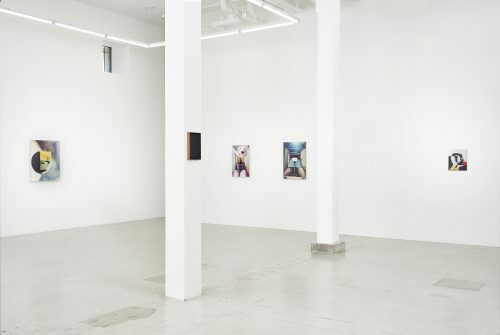 In R.R.O.S.E. 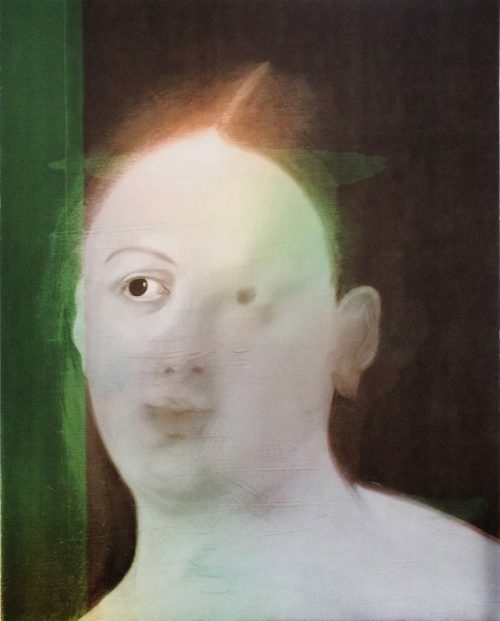 (1974), Overby refers back to Marcel Duchamp’s transvestite alter ego Rrose Selavy and his varied appropriations of the Mona Lisa (with and without mustache, etc). 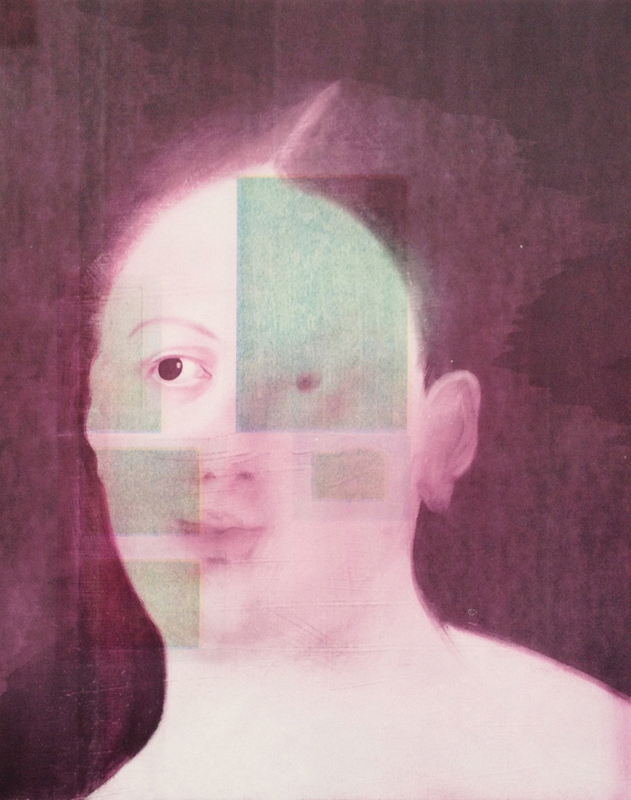 Using a lithographic process, Overby repeatedly depicts a woman with one large bold eye and another blurred and somewhat erased, but alters each version with colored filters and blocks of color. 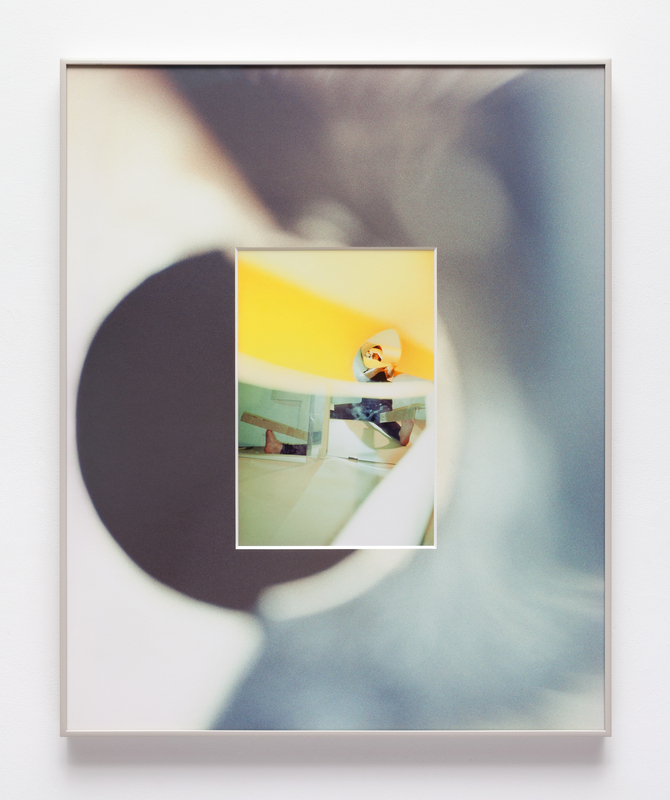 In B. Ingrid Olson’s artwork, subjecthood is mediated by architectural and pictorial space. Olson’s layered photographs present the body in flux: fragmented feet, legs, crotches, torsos, arms and hands abstracted within a compressed and highly structured studio environment. 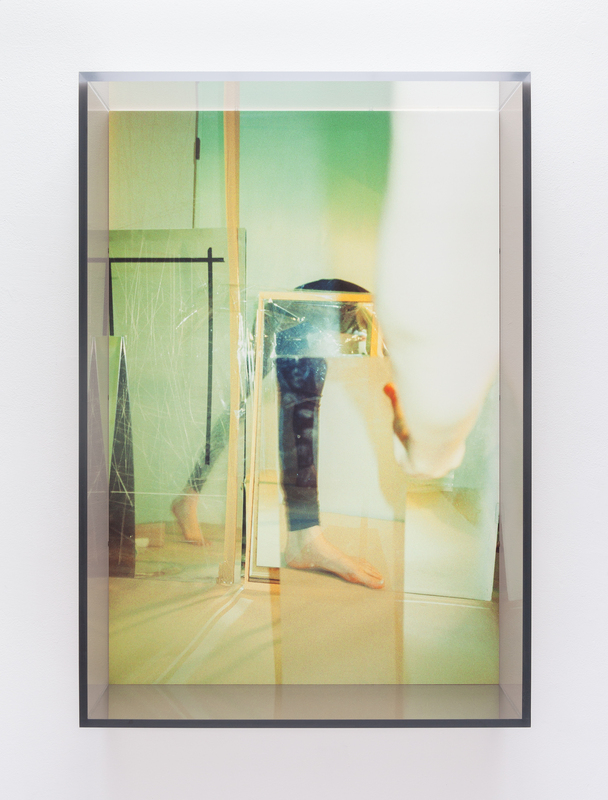 Holding her analog point and shoot camera, the images are located in the body while pictorial space is disoriented through cropping, blown out flashes, and compounding mirrored reflections. 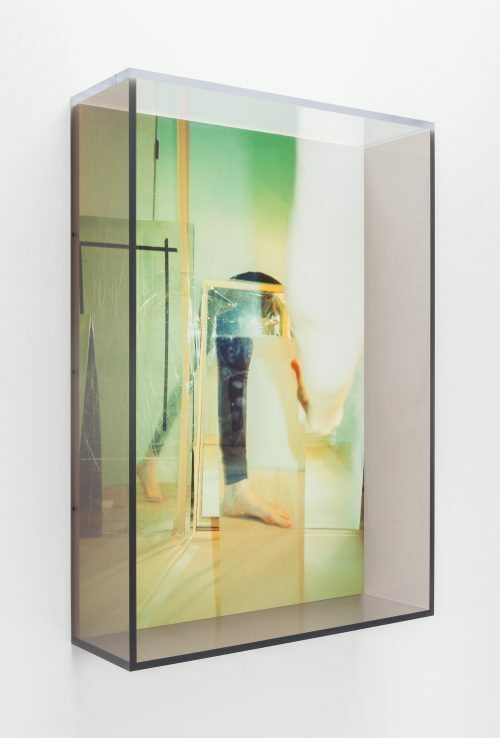 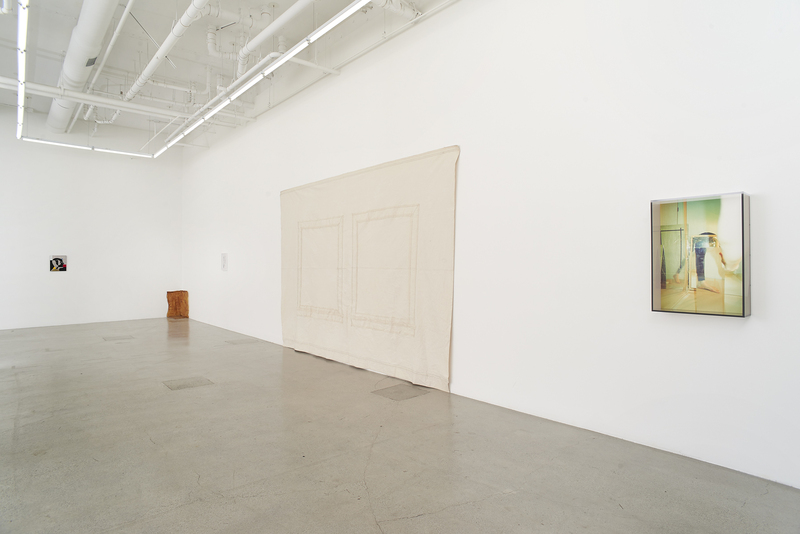 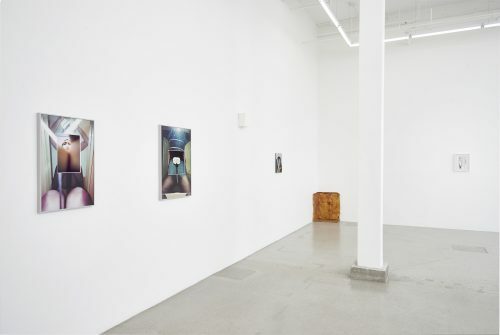 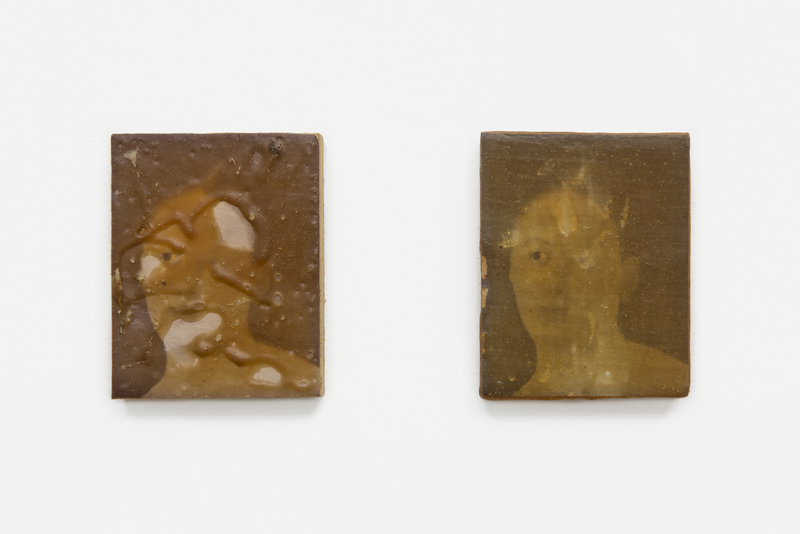 Olson confronts the viewer by emphasizing the photographic works’ physical presence, framing images inset within other images, or recessing single images into deep, faceless Plexiglas perimeters. Also on view, Olson’s viscerally colored relief sculptures suggest a hybrid of architectural features and possible indexes of absent body parts. 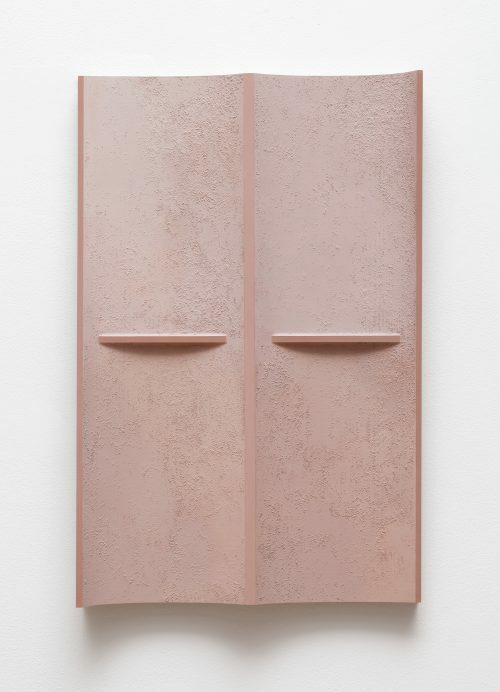 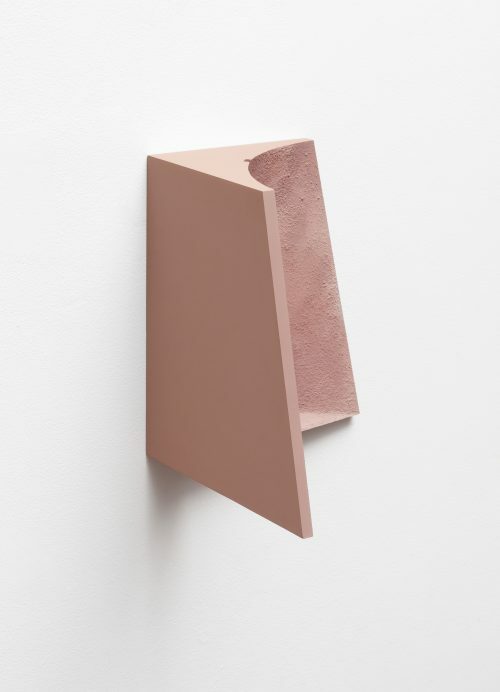 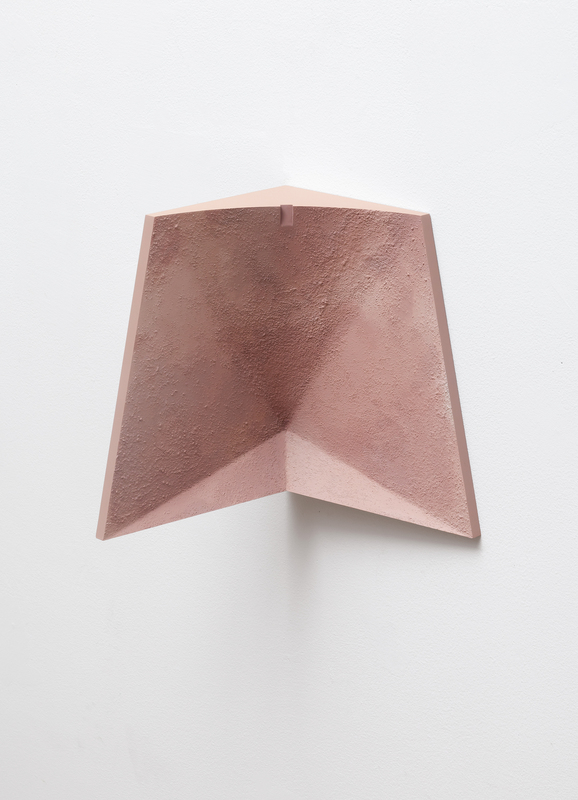 Installed at varying heights approximate to the body parts to which they allude, the reliefs present an intimately scaled, perhaps gendered, translation of Minimalism. 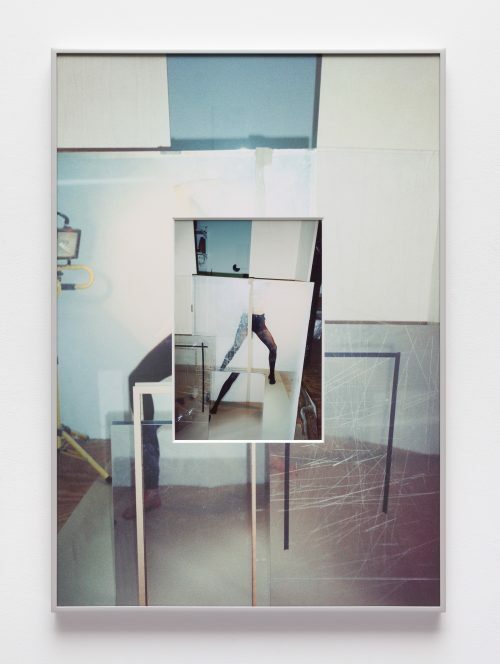 B. Ingrid Olson (b. 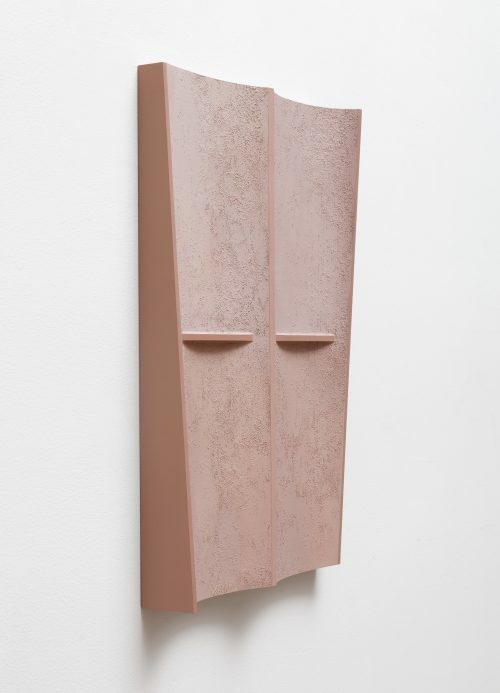 1987, Denver, CO) received her BFA from The School of the Art Institute of Chicago in 2010. Recent solo and two-person exhibitions include Forehead and Brain, Albright Knox Art Gallery, Buffalo (2018); Kiss the architect on the mouth, Simone Subal Gallery, New York (2018); KLEIN / OLSON, The Renaissance Society, Chicago (2017); . 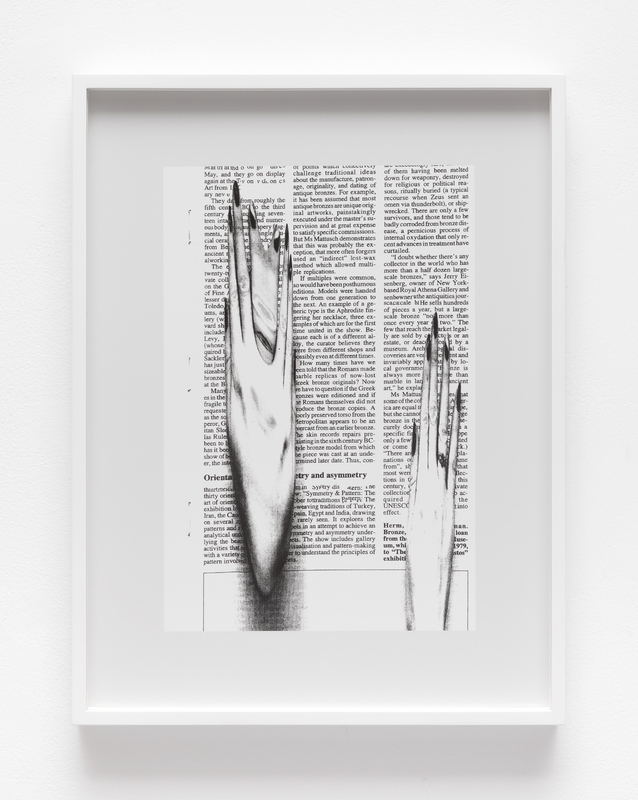 Group exhibitions include Lost Without Your Rhythm, Aspen Art Museum (forthcoming, 2018); Being: New Photography 2018, The Museum of Modern Art, New York (2018); Picture Fiction: Kenneth Josephson and Contemporary Photography, Museum of Contemporary Art Chicago (2018). 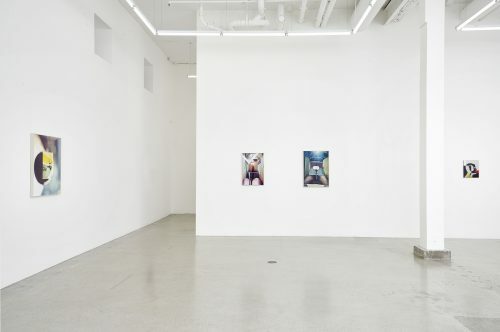 Olson lives and works in Chicago, IL. 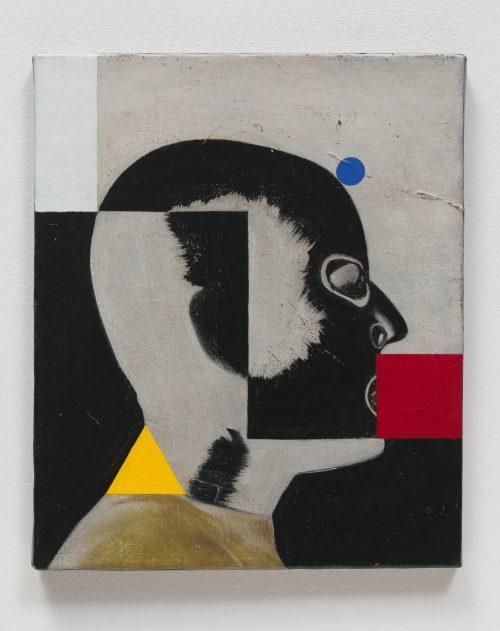 Robert Overby (b. Harvey, IL 1935–1993) attended the Art Center School of Design and the Chouinard Art Institute (both in Los Angeles). 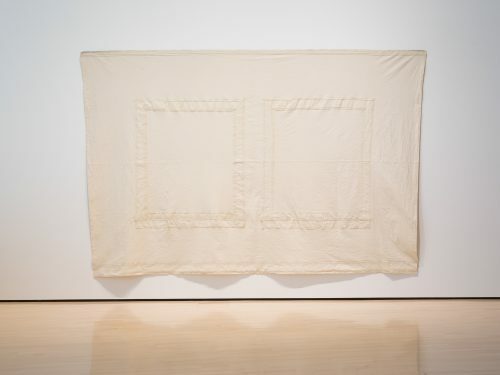 Overby created a multifaceted body of work that ranged from painting to installation art that was rarely exhibited during his lifetime. 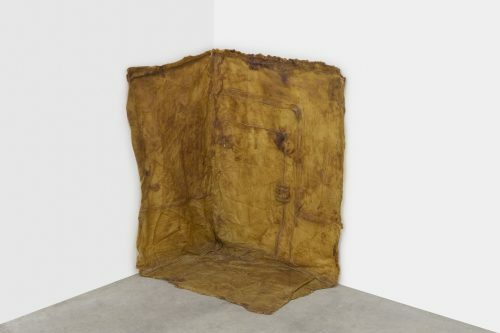 Many of the works created between 1969 and 1973 were documented in his self-published “red book” titled Robert Overby: 336 to 1, August 1973–July 1969. 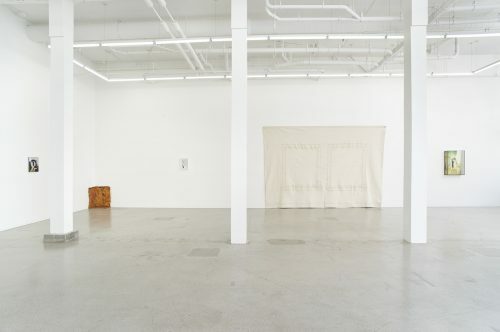 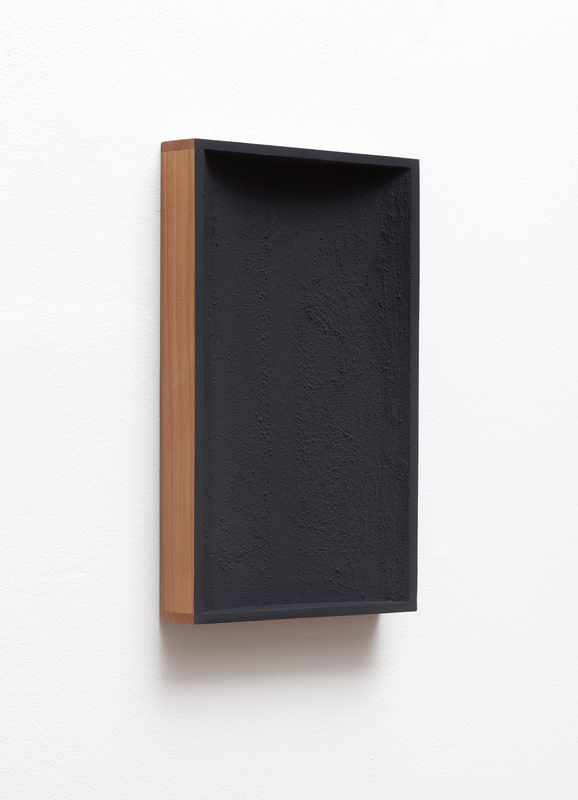 In 2000, Overby was the subject of a retrospective at the Hammer Museum in Los Angeles, which paved the way for his recent major solo museum survey, Robert Overby: Works 1969–1987, which debuted at Centre d’Art Contemporain, Geneva, Switzerland and travelled to Galleria d’Arte Moderna e Contemporanea di Bergamo, Italy; Bergen Kunsthall, Norway; and Le Consortium, Dijon, France. 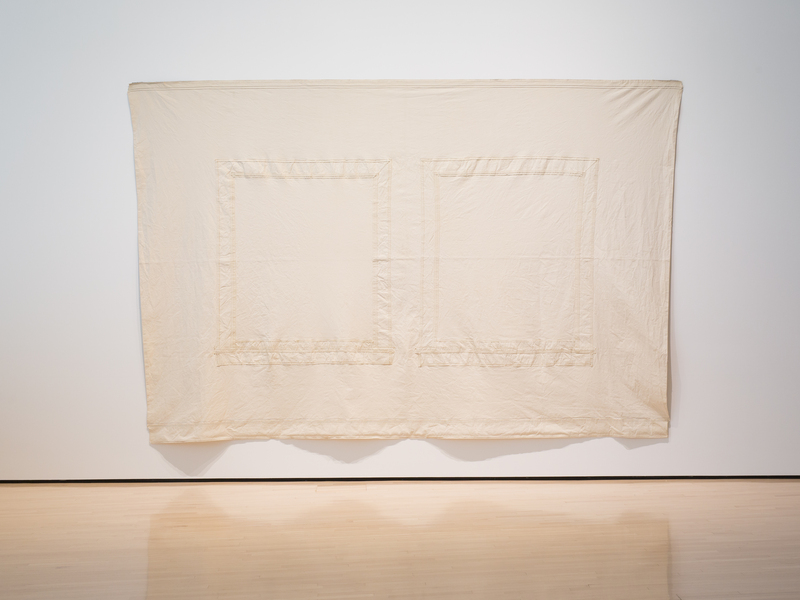 Robert Overby: Works 1969–1987 was accompanied by a major publication of the same title. 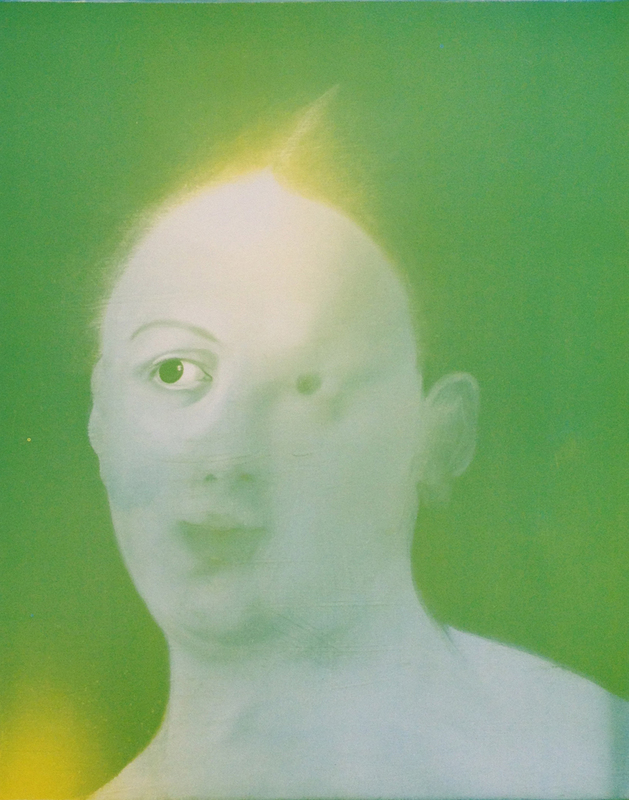 The catalogue, published by Mousse Publishing, also includes the most complete chronology on the artist’s life and works.